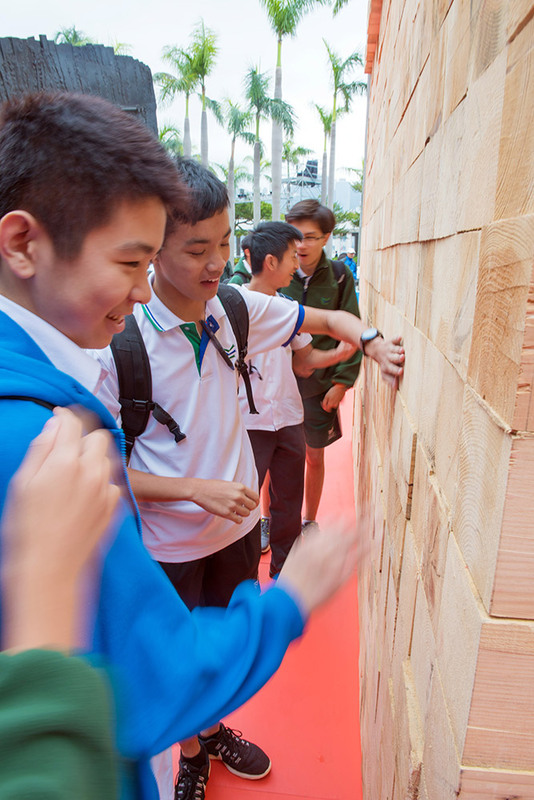 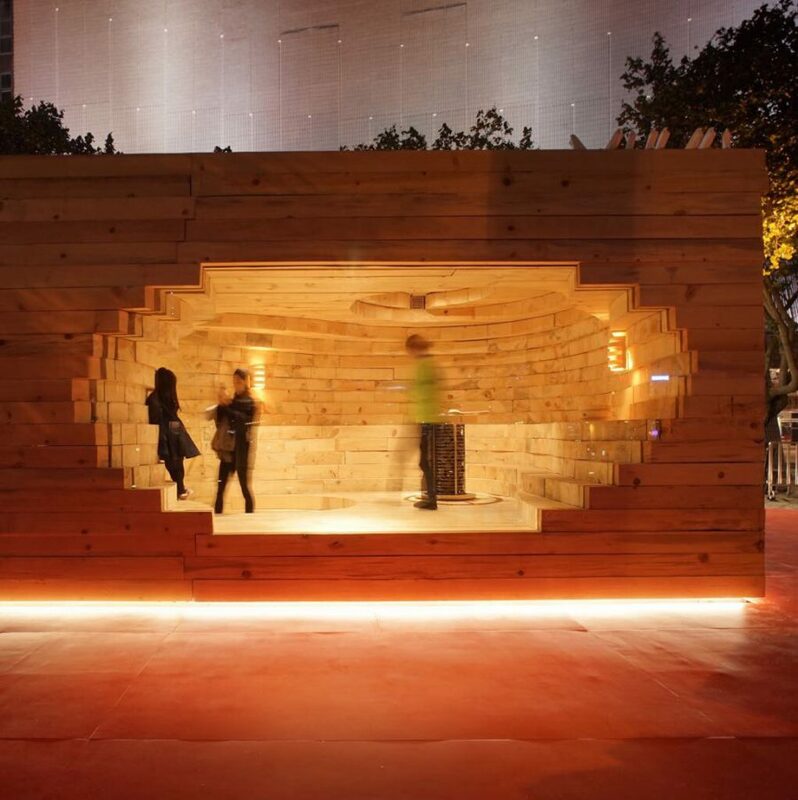 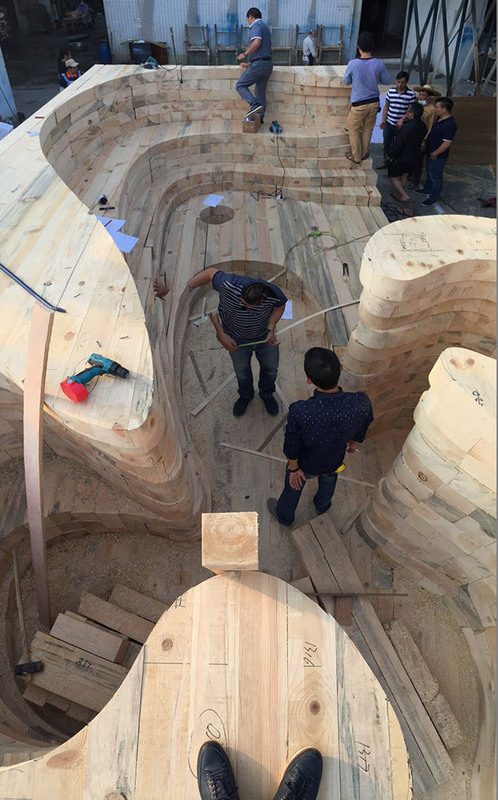 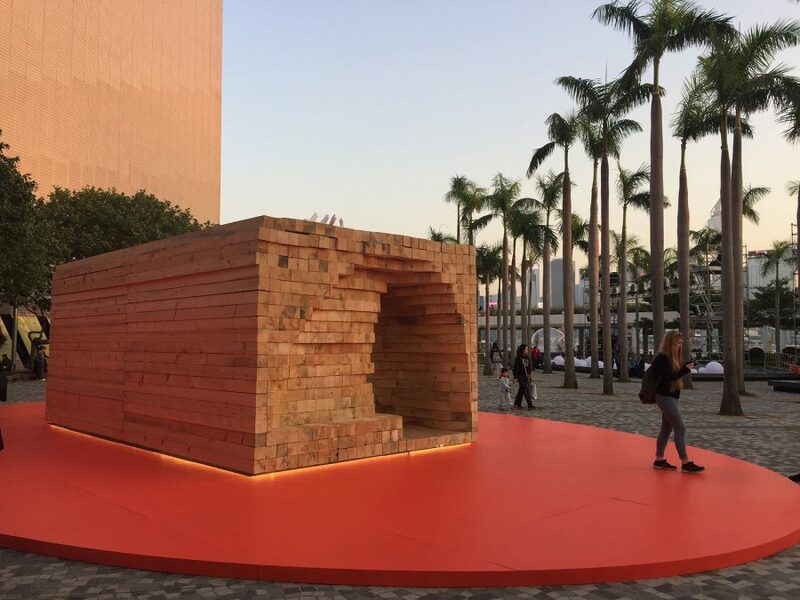 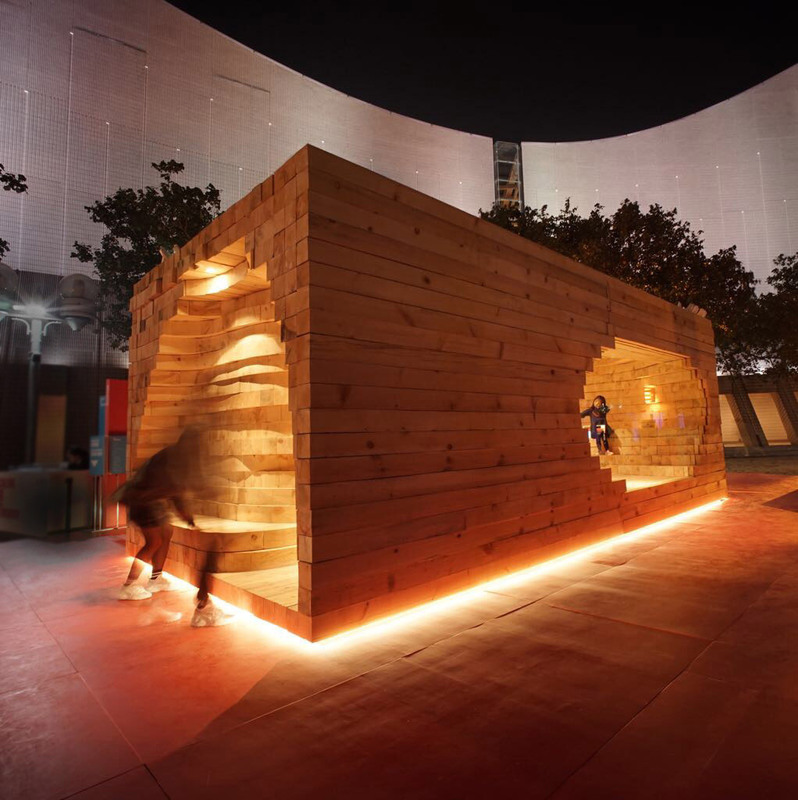 The sauna pavilion brought a small piece of Finland in the middle of hectic Hong Kong for Finland’s 100 years anniversary. 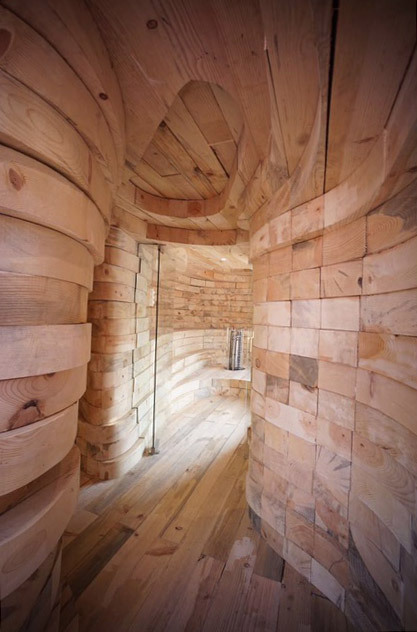 Kolo means a hole or a cavity. 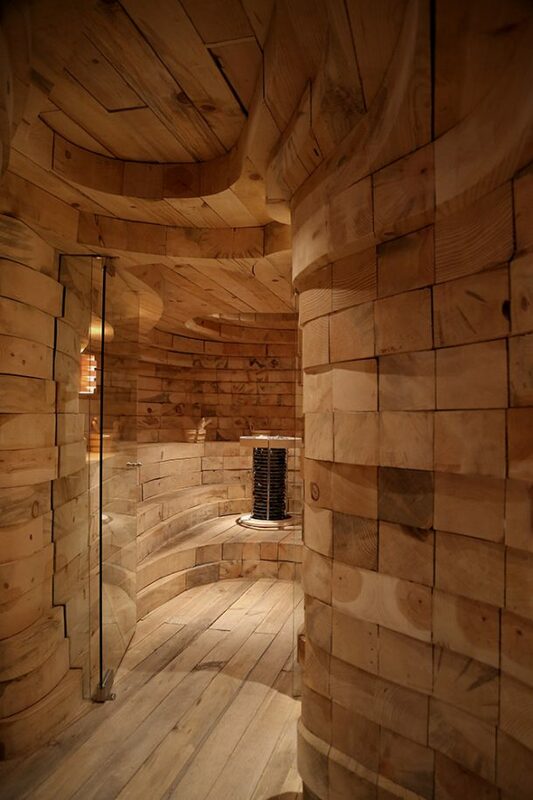 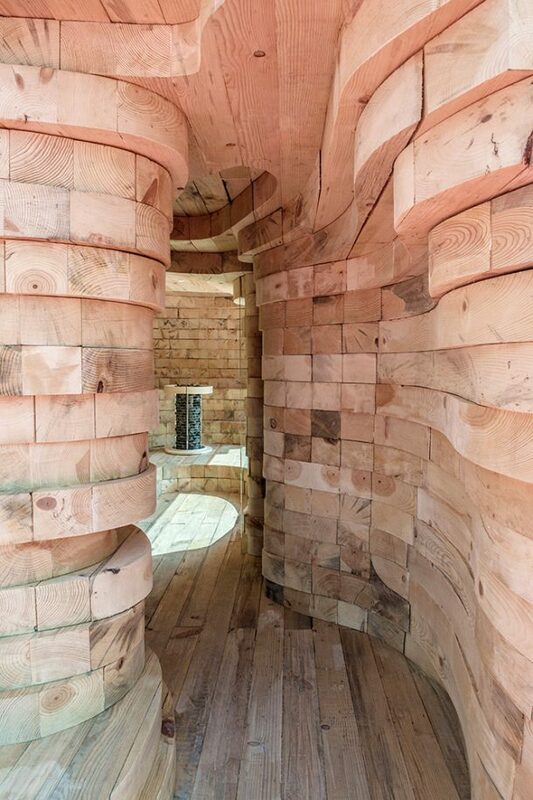 From outside Sauna Kolo is very simple massive wooden box to make contrast to the free form interior space. 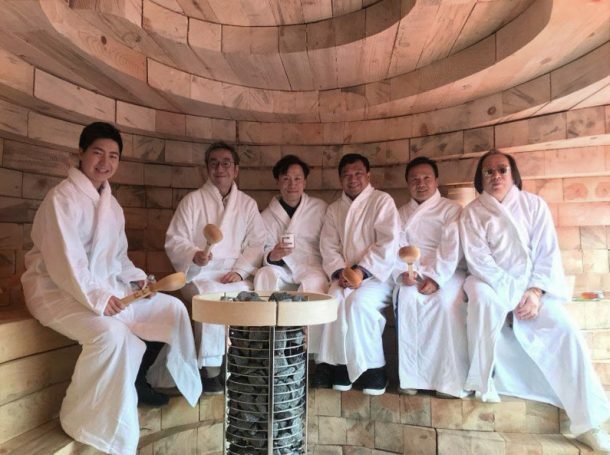 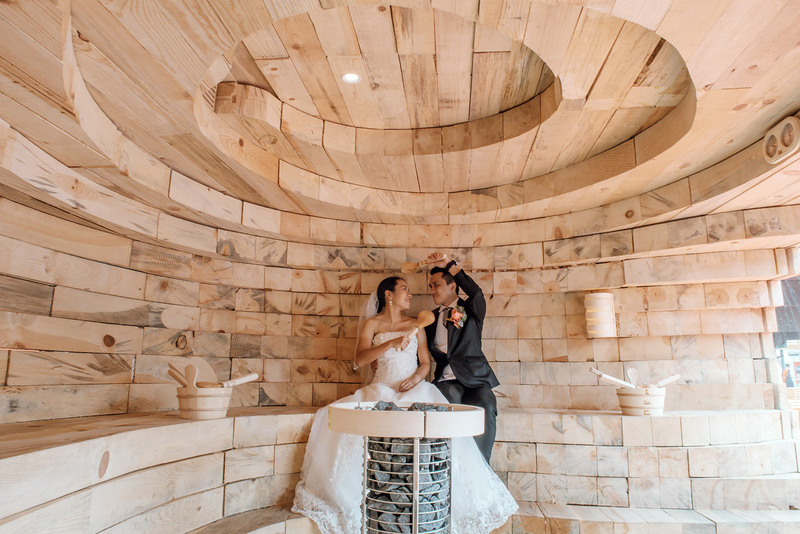 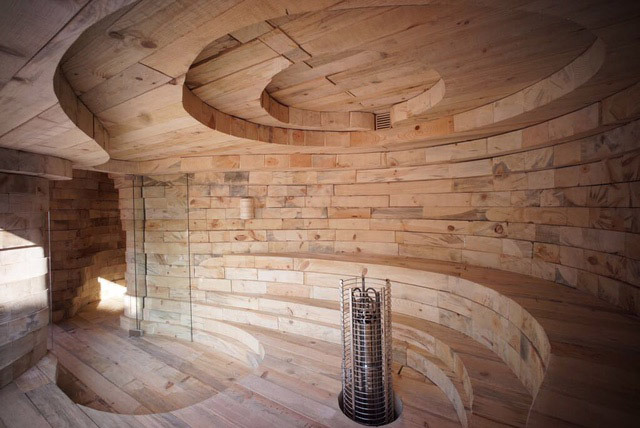 The round form emphasizes the social aspect of sauna bathing, people gather around the stove. 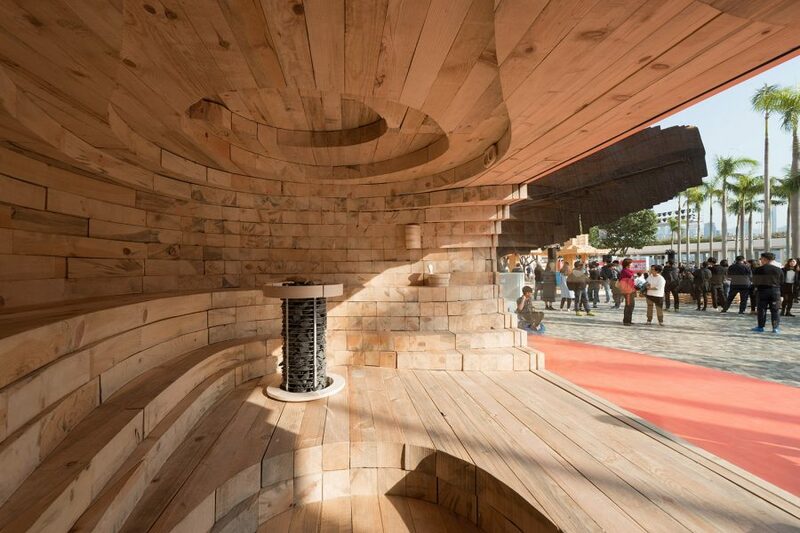 The smell, texture and acoustic properties of wood create a strong atmosphere – a calm wooden nest right in the center of one of the most hectic cities in the world. 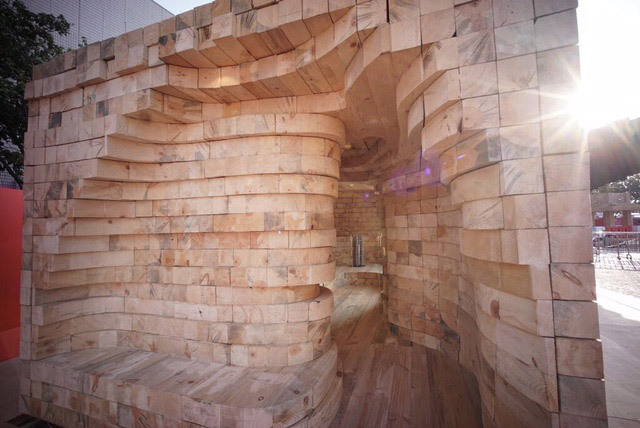 The project was done together with architect Hiroko Mori.